The growing season isn’t over with the arrival of cool weather. Until the first hard frost hits, you have plenty of time to plant, pick and plate cool-weather crops. You’ll save yourself some money in the grocery’s produce aisle too. July through August is the optimum time for planting cool crops, so don’t delay. Planting in summer ensures crops will have time to mature before the first freeze in fall. Choose varieties that mature quickly; you can find the days to maturity on plant tags. Starting with transplants, rather than seed, will help make the growing process much easier. Remove spent plants, like early planted beans, cucumbers or lettuce, since they’re pretty much done for the season and can harbor pests. Clear away holes left from pulling plants, and get rid of weeds before they go to seed. Throw away anything distressed and compost the rest. Freshen garden soil by removing the existing layer of mulch and replace it. Straw makes an excellent cover because it’s easily scattered, it’s also a favorite home for spiders that will help control insect pests in your garden. You can also use a layer of shredded leaves for mulch. Loosen compacted soil and fluff it up with a garden fork. Major tilling isn’t necessary; just move soil enough to allow new plant roots to settle in and let water get through. Test soil (you can buy a testing kit at most garden retailers) to see if it needs help. Add amendments, if needed. At the very least, work some compost in where your plants will be growing. If you’ll be using a cold frame or hoop, set it up early so that it’ll be ready to go when you need it and you won’t risk damaging plants and roots once they begin to grow. Starting with transplants will buy you lots of time. Since plants are six weeks or older when you put them in the ground, you’ll harvest sooner than if you start from seed. Look for transplants from an established grower, like Bonnie Plants. Sold in biodegradable, environmentally friendly pots, you’ll find fall varieties selected for your geographic region at most local garden retailers. * Top bunch collards – This hybrid is heavy yielding, early maturing, and more uniform than traditional varieties. They grow best in full sun, tolerate partial shade, are rich in vitamins and sweetened by frost. Space transplants 36 inches apart. * Spinach – A cool-weather vegetable related to beets and Swiss chard, Bonnie’s Spinach is a fast-growing plant, yielding many leaves in a short time in fall. Although spinach prefers full sun, it’s one of the few vegetables that produce a respectable harvest in partial shade. * Winterbor kale – This nutritious leafy green is a vigorous producer that endures winter easily. Cut the outer leaves so that the center can continue growing. Space transplants 12 inches apart. * Early dividend broccoli – Popular, productive and easy to grow, this broccoli is high in fiber and calcium. Space transplants 18 inches apart. * Mustard greens – Offering spicy hot leaves, this is a very fast-growing, nutritious vegetable, and always tastes sweeter when nipped by frost. Space plants 12 inches apart. * Bonnie hybrid cabbage – Grows large, round, blue-green heads. Cabbage is especially high in beta-carotene, vitamin C, K and fiber. (BPT) – Helping children with their homework requires more than an understanding of the subject matter, whether it’s algebra or world literature. To help children succeed throughout the school year, it’s important for parents to nurture positive study habits and organizational skills, and provide kids with a home environment that fosters concentration. “Whether your kids are just learning to read, write and spell, or they are studying for the SATs, we parents have an opportunity to help instill work and study habits that will stick with our children for life,” says education and parenting expert Dr. Michele Borba, who is the bestselling author of 22 parenting books and a frequent TODAY show contributor. * Give them space – Create a dedicated space for homework and study. This underscores the importance of homework to kids. If you don’t have room for a homework desk, consider keeping all homework and study tools in a bin or box that children can take out and use every day. Keep all essentials in one place to help avoid time wasted looking for the dictionary, ruler, calculator or other tool. * Create a routine – Choose a time that works best for your child to do homework, then stick to that time every day. A set and predictable schedule helps minimize homework battles. “Work before play” can motivate kids to get their homework done, but if your child plays sports or has other after-school commitments, doing homework after dinner may be the best option. * Give them smart tools and study aids – Just as your mechanic can’t fix your car without the right tools, it’s hard for kids to do homework without the proper tools. Choose tools like the new Post-it Study collection (www.Post-it.com), which is designed to help students stay organized and use time efficiently. For example, Post-it Study Message Flags are restickable flags that feature helpful reminders like “Study,” “To Do” and “On Test” that help kids highlight material that needs additional attention. Note Tabs, Page Markers, Flags and other products in this collection by Post-it Brand stick securely to papers, notebooks, textbooks and more – yet remove cleanly – to help kids organize information during homework and study time. * Avoid distractions – Establish a technology-free zone for homework and studying. Turn off TVs, ban text messaging and ensure kids are using their PC for research, rather than Facebook. This measure may seem obvious to you, but remember – kids are so tied to tech these days that they may be surprised to find out they can more efficiently use their time without the distractions of technology. * Map out assignments – Help children plot homework on a schedule so they have simple reminders of daily, weekly or long-term assignments. Include other engagements like sports or music lessons to help kids have a clearer picture of their own schedules. This can help build basic time management skills, like working on a long-term project every day over time, or avoiding a late-night cramming session for a big test. * Lessons in planning and prioritizing – Teach kids to make lists of what they need to do each night in order of priority. As your child accomplishes each item, have him cross it off the list. For children who had difficulty staying on task, breaking large projects into smaller, more manageable tasks can help. Encourage kids to do the hardest homework first to help relieve the pressure of a long to-do list. * Effective study habits – Spreading out study sessions and practice testing were the two most-effective learning tactics, according to a recent report by the Association for Psychological Science. Both techniques involve strong time management skills. Help children think of study sessions or pieces of a larger project as daily to-dos, and just as important as the homework assignment that may be due tomorrow. 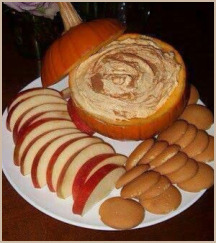 Ideas for giving both you and your kids a GREAT Halloween this year! No longer is Halloween just a night for kids to trick-or-treat. In recent years the holiday has skyrocketed to become one of the most celebrated times of the year. Nearly two-thirds of adults have dressed up every year for the past two to three years, and more than half of adults plan on decorating their homes this year, according to a recent survey released by Savers, Inc., a global thrift retailer with Savers and Value Village stores across the world. Set a budget – The first step of any shopping venture should be to set a budget that the whole family agrees on, and stick to it. Halloween is no different, so make sure you decide in advance how much you want to spend on costumes, decorations, candy and any other miscellaneous merriment. Mix new and used – One of the best ways to save money and create a completely original costume is to combine new and previously owned pieces. For instance, pairing a fancy little girl’s dress and vintage jewelry with new accessories like a wig, tiara and wand makes for a completely customizable and unique princess look. You could also purchase a prepackaged costume, such as a vampire, and then punch it up with secondhand items like tuxedo pants, shiny dress shoes and white gloves to make the look even more authentic. Take the road less traveled – When shopping for a Halloween costume, visit a thrift store and be sure to browse every department – especially areas you don’t typically shop. For instance, if you’re looking to create a men’s pirate costume, check the women’s section for billowy and ruffled tops and loose-fitting pants. Many men may not realize the women’s section offers completely different styles and textured materials, which could be perfect for a variety of costume ideas. Women, too, should check out the men’s and boy’s sections for things like vests and authentic uniforms. Consult the experts – If you’re having trouble pulling together the exact look you’re going for, search online and in magazines for inspiration. Some stores even offer trained costume consultants who are completely dedicated to helping people put together the perfect costume on any budget. They can help shoppers find a new ready-made costume, offer advice in mixing themed accessories with clothing items found in their closets, or find unique secondhand finds for those looking to create a completely handmade look. Do-it-yourself decor – When shopping for decorations, don’t feel like you need to pay top dollar for standard store-bought goods. Crafting spooky Halloween decor for just a few bucks can be as simple as applying a layer of black spray paint to secondhand silk flowers or quirky ceramic knick-knacks, like owls, crows and cats, and sprinkling them around your “haunted house” for a creepy surprise. Pass a good value on – After Halloween has come and gone, don’t forget to donate your costume at a Community Donation Center. You’ll help benefit a nonprofit in your community, and give someone else a great Halloween look next year. The two alternatives for homeowners who made the decision to install granite countertops are granite slabs and granite tiles. Granite slabs are exactly as they sound: large objects of granite that lay on the best of cabinets, with the slab of granite comprising the countertop. Granite slab countertops are practically indestructible, as well as visually pleasing! However, there are issues involved with granite countertops. First, due to the fact that a slab of granite is heavy, most cabinets will need to be reinforced to hold up the weight of the slab on top; this adds time and additional expense to the kitchen remodel. Secondly, since granite slabs have intricate patterns, these patterns must be intentionally matched. Therefore, all of the granite slabs in a kitchen must to arrive from the same granite quarry. This limits the selections of property owners, based mostly on the dimensions of their countertops, and makes granite slabs incredibly expensive. Kitchen area is a crucial place where your loved ones spend spend time cooking and enjoying meals; updating your kitchen improves the style/look in your home, while increasing overall property value and generating appropriate ambience. Granite countertops add a classy appeal to your kitchen and property which is why it is a favorite among real estate entrepreneurs and interior designers. Granite countertops are the top quality choice for residences and industrial buildings in the U.S., admired not only because of their intrinsic beauty and design, but far more so for their resistance to wear and tear and long lasting high quality. Granite countertops are very resistant to heat, moisture, stains, spills and scratches, yet regardless of their inherent strength, granite countertops require suitable care if you want to guarantee splendor and sturdiness. These healthy stone countertops make a good residing statement for your kitchen, bathroom and also provide a soothing ambience for hotels and company establishments. The ideal factor about granite countertops is that they come in hundreds of designs that will match any style. The three most popular types of granite tops employed in households and industrial establishments are Granite tile countertops, Modular granite countertops, and Slab granite countertops. Each one of them has a corresponding cost and quality that is based on manufacturer, set- up, and fabrication components. Granite tile countertops are the choice of many for their unique splendor, exceptional designs and overall sturdiness. Like anything else, while they are resistant to stains, chipping and cracking much more than many other choices out there, granite counters are not without their flaws. Fortunately, there are several products available in the market to boost the natural durability of granite. To protect granite tile countertops from harm, it does pay to understand how and why troubles can arise. Granite is acknowledged and cherished for its stunning flakes of color, unusual line formations and exceptional general appearance. It is specifically these characteristics that result in physical wear and tear appearance with time. While granite counters will be sealed prior to ultimate turnover for use, this same sealant meant to guard the surface area may at times damage the material itself, along with moisture and stains which prove irreparable to granite alone. Consider this exceptional material when buying, re-decorating or updating your countertops, it will prove an exceptional investment for your home. (BPT) – If you’ve ever looked around your house and gotten the urge to purge, you might consider pausing and first thinking about how you could transform that old, damaged piece of furniture or outdated light fixture into a fresh-faced showpiece for your home. Not only are you doing something good for the environment – and likely your pocketbook – by restoring something, you’re embracing your inner creativity. You can make a truly one-of-a-kind decor piece, tailored to your personality and style. This notion of restoring and reusing items that would otherwise be cast aside to the junkyard or thrift store is called “upcycling,” and it’s a trend that has caught on quickly, especially in home design. With a little inspiration, creativity and the right tools, you can tackle countless decorating projects with things you already have around your home. And the best part? Upcycled pieces make for great conversation starters, often tell a good story and can even be sold for a much higher price than you put into them. Take a look through magazines, home design blogs and websites to gather inspiration. Look for pieces that catch your eye and have the same structure and “bones” as the items in your home that you’d like to restore. For example, DremelWeekends.com is filled with inspiring and low-cost do-it-yourself projects, tool recommendations and step-by-step instructions to help you transform just about anything while bringing a new perspective to home renovation and decoration. You can even sign up to receive weekly project inspiration right to your email inbox. Decorating your home doesn’t have to cost a fortune. Look around your basement, attic, or at yard sales and consignment shops for free or inexpensive items that you might be able to breathe new life into. The old adage “never judge a book by its cover” would apply here. Do your best to look beyond an item’s current condition and let the inspiration you’ve gleaned take over as you see its full potential in a different light. If the piece has some defects, don’t immediately overlook it. Sometimes perfection and personality can be found in the imperfection. The secret to any do-it-yourself project is to plan ahead. Beyond finding the inspiration for a project, gather the supplies and tools you’ll need, read up on step-by-step instructions, dedicate a roomy workspace where everything is at your fingertips, and be sure to carve out time to focus on the project. But the No. 1 secret of upcycling success is to be patient and not get discouraged. If at first you don’t succeed, try, try again. It’s OK to make mistakes because sometimes you’ll uncover hidden beauty during the process. The important part is that you find the whole experience of restoring and reusing rewarding. (BPT) – A new school year is starting and as many parents know, kids are likely to bring home more than their homework at some point. Many catch cold and flu viruses from their classmates, which can then spread to other family members at home. When kids are sick, they miss out on valuable learning experiences and social interactions in the classroom. (BPT) – Autumn is on the way, so don’t fall behind on your seasonal home repairs checklist. It pays to know which renovations to tackle now, which repairs can wait until next season, and what preventative measures can help you avoid large-scale, costly repairs. ASHI recommends fall as the ideal time to begin home inspector consultations and any necessary home repairs. Maintenance costs are generally lower when homeowners proactively prepare their home for winter weather instead of waiting to fix issues that appear. * Cleaning gutters and downspouts – When ice damming occurs, water cannot drain from gutters and can sometimes seep into the home and damage ceilings and walls. * Roof, siding and shutter repairs – Heavy rains and high winds can call for window protection from shutters and the necessity of a sturdy exterior and roof for protection. ASHI recommends inspecting your roof, siding and shutters at least once a year. * Caulking cracks to stop cold drafts – Worn-out weather stripping around doors and windows allows cold air to seep into the home, which increases heating costs. * Inspecting chimneys – Adding a cap or screen to the top of a chimney will prevent birds nesting or animals entering. ASHI also recommends inspecting the damper for proper operation and checking mortar between bricks. * Checking batteries in carbon monoxide and smoke detectors – Many fires or cases of carbon monoxide poisoning occur during cooler months due to an increase in furnace and other heat source usage. If you have gas appliances, you need a CO detector for increased safety. Homeowners can find an ASHI inspector by visiting www.ashi.org. The ASHI “Find a Home Inspector” directory allows homeowners to locate an inspector in their area, by language preferences or services provided. 1- Stir all of the ingredients listed above together. 2 – Refrigerate for at least three hours. 3- Serve with assorted dippers.